BETA Assessment Centre has a number of associated sites (Ref: Assessment Centre Approval File). All correspondence and all other relevant information in relation to the award of S/NVQs will be communicated to the associated site contact so that candidates, assessors and internal verifiers are kept informed. This will include information from EAL, LECs, SEMTA, SQA, QCA and other official bodies. All sites are visited on a regular basis to fall in line with centres quality procedures and policy statement for communications within the team. These procedures meet the requirements of the Awarding body and of the LEC. All sites will be visited at least 10 times each year. Records are maintained of the visits and are on database in Co-ordinators office. All Modern Apprentices have a Training Plan and Agreement and the centre’s Administrative Assistant keeps these on file in the office. Most sites have qualified assessors who are registered with EMTA Awards Limited and those that do not are monitored by one of the centres suitably qualified assessors. 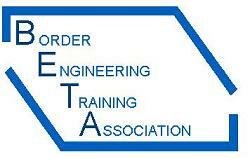 The centre’s internal verifiers carry out regular monitoring visits using EMTA Awards Ltd procedures. Records are maintained by the individuals and the centre Co-ordinator is kept informed and keeps copies of relevant documentation on file. Unless the correspondence is urgent, all associated sites will be kept informed by regular information bulletins issued monthly by the visiting assessor or internal verifier. The associated site will be advised of the next visit at the time of the current visit. Confirmation will be given to the centre contact at least two weeks prior to the next visit. The site contact will be advised what specified candidates, assessors and internal verifiers will be interviewed in connection with the progress of the S/NVQ target awards. A record will be maintained of all visits, with appropriate notes in connection with the visit to indicate any problems and advise on the progress of the candidates. A copy of these visit records will be filed in the central office for reference purposes and retained for a period of 5 years. A copy of the current report will be filed in the centre file and be available for inspection by the external verifier and SQA/QCA auditors. Confirmation is required that the centre complies with the awarding bodies common accord.